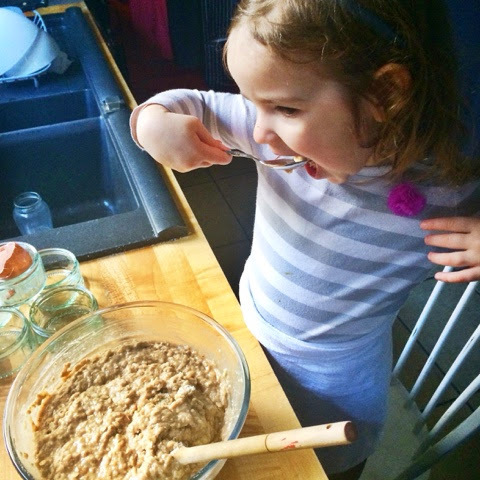 What better way to keep warm and satisfied on a wintery playdate than eating a yummy treat! 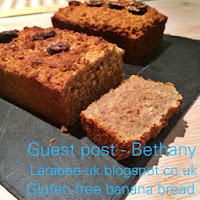 Today Bethany over at bwheatley has a Gluten free banana bread for us to try. Bethany has some great recipes over on her blog, I'm definitely going to be trying the sweet potato brownies as well as this banana bread. 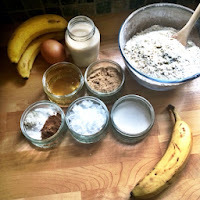 And this recipe is in cup measurements too, if you are a regular, you will know that I love this way of measuring it's the single most sensible thing in the world, I've no idea why the UK doesn't adopt it. Anyway, thanks so much for joining us Bethany! Wait! Don’t run away because you’ve seen gluten free in the name! 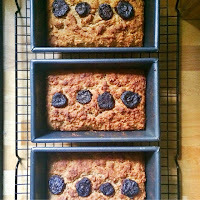 I promise this recipe will give you some of the moistest, most banana-ey (that’s a word, right?) tasting banana bread you’ve ever had. 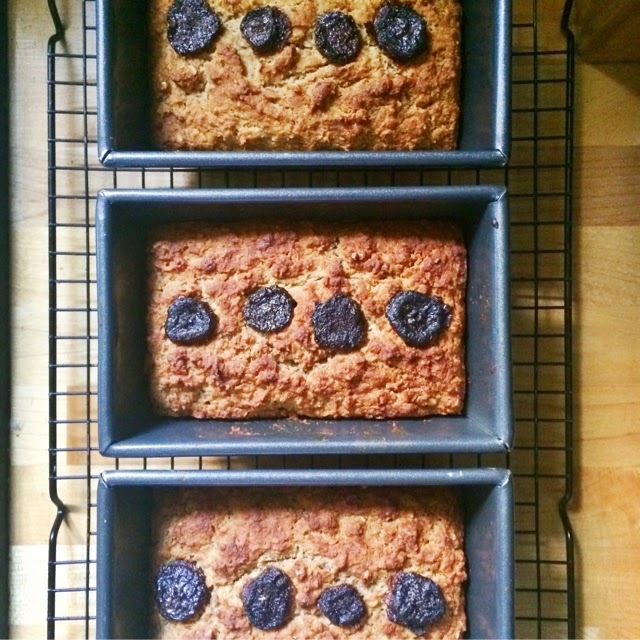 And the bonus is that it’s not just gluten free - it’s pretty healthy, too, as it’s low in sugar and packed with oats and nuts, so perfect for snack time with the kids. My family and I aren’t gluten free, but I have a couple of friends who are. 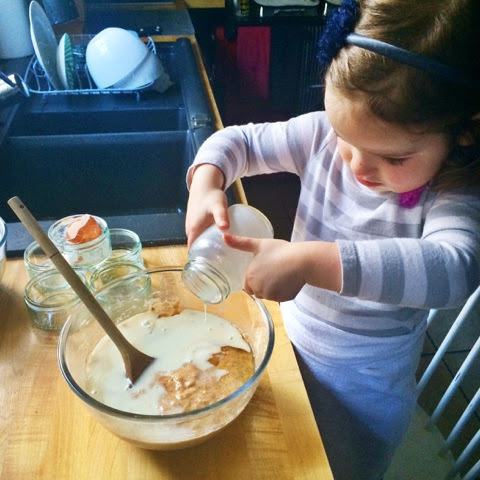 Also, I love trying new recipes, so I often have the ingredients to hand. However, If you’re not fussed about GF (or dairy free), just sub cow’s milk for the almond milk, use regular self-raising flour and don’t worry about whether the oats are GF! And if you don’t have coconut oil to hand, you can sub plain old vegetable oil, but the coconut oil adds a bit of natural sweetness, which vegetable oil won’t. The other good thing about this recipe, at least from my perspective, is that you don’t need to use an electric mixer. My 2 year old daughter and sous chef extrordinaire is, for some inexplicable reason, terrified of mixers. As soon as I uncover my KitchenAid, she bolts into the living room, not to be seen again until it’s safely put away. Which is both hilarious and sad at that same time. 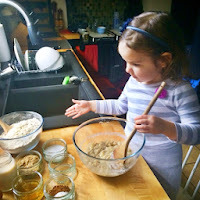 I definitely don’t want to scare her away from baking and she loves to help me ‘do making’, so I’m always on the look out for ways around mixers. Preheat oven to 200*C / 400*F (180*C / 350*F for fan assisted) and line a loaf tin with greaseproof paper or grease with butter or olive oil. Mash the bananas in a large bowl, then add all ingredients through milk and stir briskly until combined. 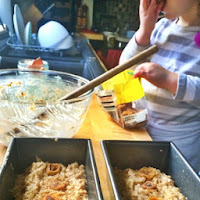 Add ground almonds, flour and oats, and stir to incorporate. Bake for 45 minutes to 1 hour. When ready, it should feel firm, with a crackly, golden brown top. Let cool completely in the tin before removing or cutting, otherwise it will fall apart. I can vouch for how yummy this cake is. It was my GF son who stole the last piece of cake from my plate! Delicious.I can't wait to have a go at making this.